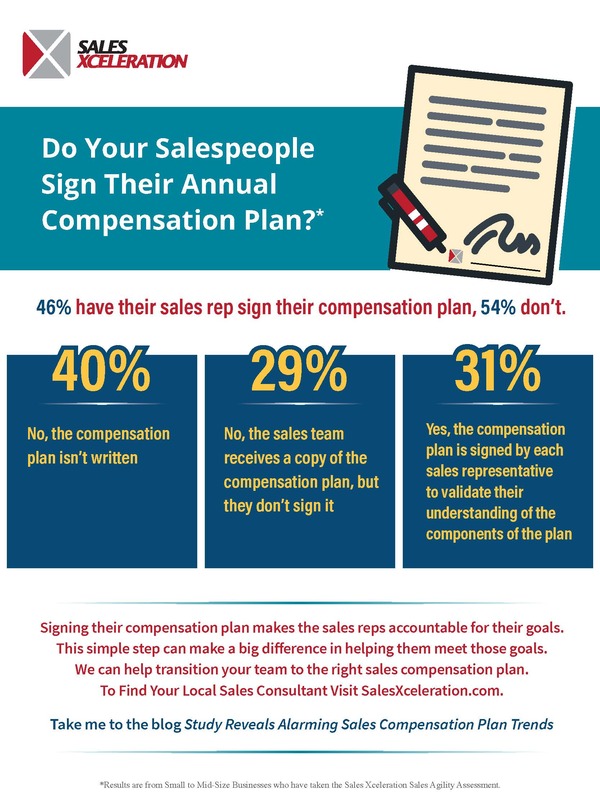 Do Your Salespeople Sign Their Annual Compensation Plan? Signing their compensation plan makes the sales reps accountable for their goals. This simple step can make a big difference in helping them meet those goals. We can help transition your team to the right sales compensation plan. Do You Know the 4 Parts of a Successful Sales Compensation Plan?